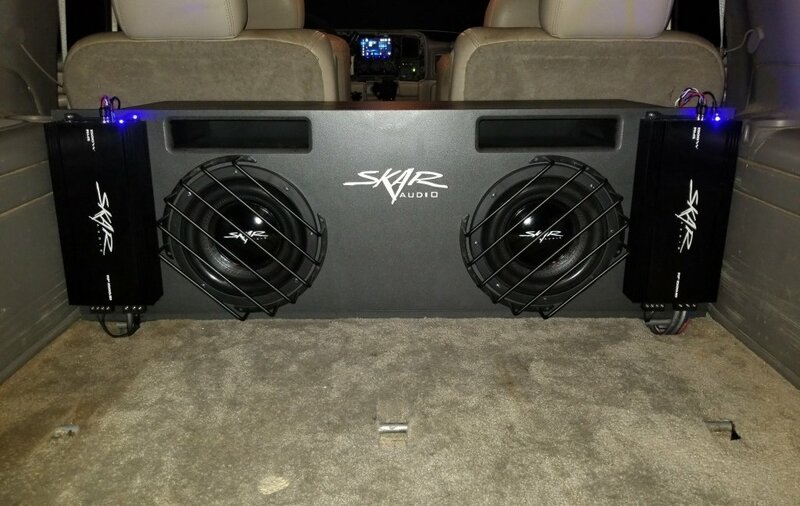 By xJWhip804x, September 13, 2018 in SKAR AUDIO - Performance Audio/Reasonable Prices! New to the car audio scene and definitely had a tight budget. Did my homework and decided Skar was gonna be my best bet. Started off with one 10 and one amp. I screwed up the port on my first enclosure attempt and decided i need to build another. At that point, i decided to go ahead and double up on everything. I must say i am very impressed with the power handling of these subs. Hell, even the dealer i bought them from has now become a fan and put two 12s in his ride. My subs still need a little more time to break in and i have some electrical upgrades still needed so i currently have my levels set low to keep my voltage from dropping significantly. Cant wait to be able to play these things full tilt. 1.49 cu^ft NET per chamber. Each sub wired to 1 ohm at amps.